The Cheung Tat Ming produced, written and starred film A HOME WITH A VIEW (GA WOR MAN SI GAING) opens today. Yesterday he promoted on Commercial Radio and revealed that he was excited, but admitted that the release was somewhat difficult because everyone was busy working overtime before the Lunar New Year. Did he have any box office pressure? He said no, this was not an area that he had to be worry about. Because he was responsible for creating and performing, he had confidence in this film. As long as someone liked to watch a good movie and good actors they would want to see it. 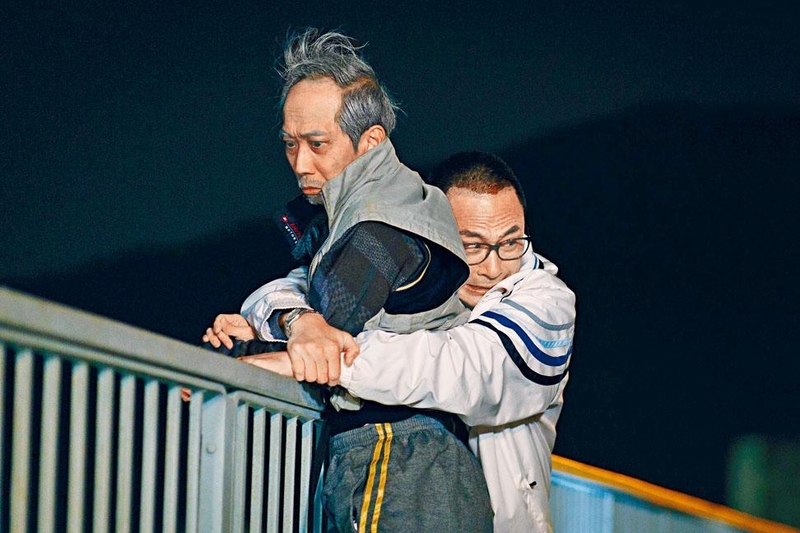 The film had many superstars like Louis Koo Tin Lok, Francis Ng Chun Yu, Anita Yuen Wing Yi, Anthony Wong Chau Sun, Elena Kong Mei Yi, but he had to apologize to Law Kar Ying. Because the film was too long, he could only cut other Borther Kar Ying's guest starring role. This year competition between domestic Lunar New Year films would be fierce. 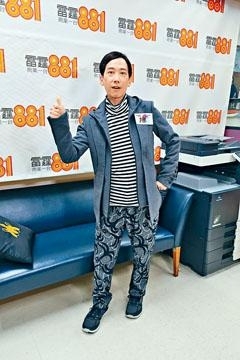 Tat Ming said that he noticed that too and felt that the strongest was Stephen Chow Sing Chi. With Wong Cho Lam, Pang Ho Cheung and others, more competition and a full bloom would be fine and even more cheerful. This film was based on Tat Ming's award winning play. He said, "This time I injected many film angles, making it even more modern with housing, unauthorized construction and family problem as subjects. It should be very relatable." Would he take this film to other markets? He said, "Actually in Paris, France young people also would run into housing problems. Many had to live in subdivided rooms. This type of subject would happen in different places." Later Tat Ming would work with an American film company, for now he was not be able to reveal any detail.